Appliances don’t last forever, and I understand that when your refrigerator, dryer or dishwasher breaks down, you need it fixed fast. At R & R Refrigeration & Appliance Repair I offer same day services that will get your appliances back up and running and you back to your life. When your refrigerator or dishwasher stops functioning, R & R Refrigeration & Appliance Repair is your number one source for same day appliance repair in Palmer, AK. I’ve been providing quick and reliable appliance servicing to customers in Palmer and the surrounding areas since 1984, and I am proud to have the opportunity to continue to serve our community. Not only do I do home appliance repairs, I also offer commercial refrigeration servicing for ice machines, walk in coolers and more! When you need a major appliance fixed fast, no one can beat the services provided by our dedicated team. I have a wide array of appliance parts and used appliances. 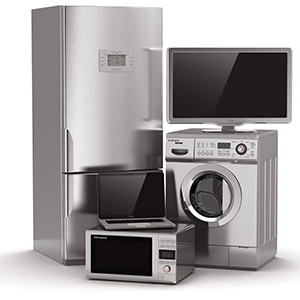 I offer service for many major appliance brands including Whirlpool, Frigidaire, GE, LG, Maytag and more. I offer free estimates and same day repair services to Palmer, Wasilla, Big Lake and outlying areas. I service residential appliances such as dishwashers and refrigerators, as well as commercial appliances such as walk in coolers and ice machines. I am a long standing members of Business Networking International.